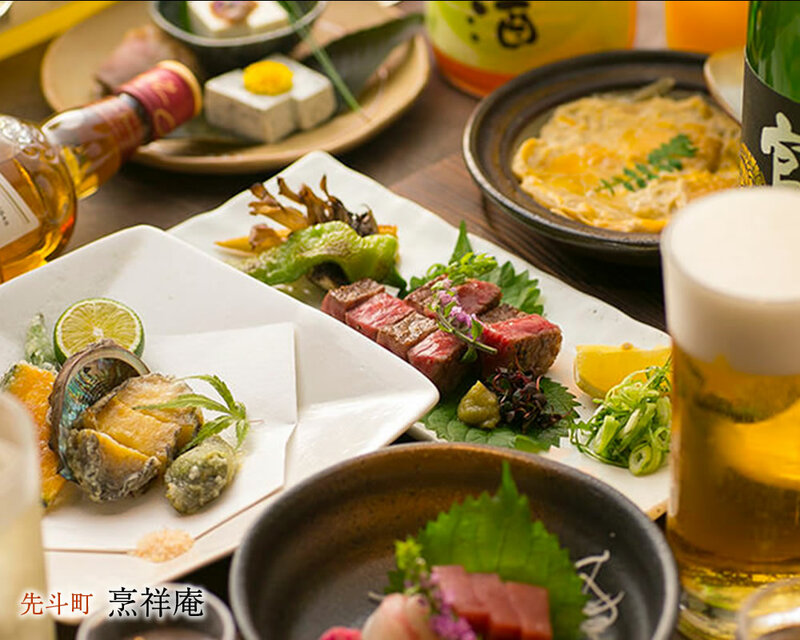 Your choice of Japanese Kaiseki cuisine at Houshoan or premium steak at Kyoshikian. Located by the Kyoto Kamo River, Ponto-cho is full of Kyoto's history and charm. Meander through many of its narrow stone-paved alleyways, and you'll find Houshoan. 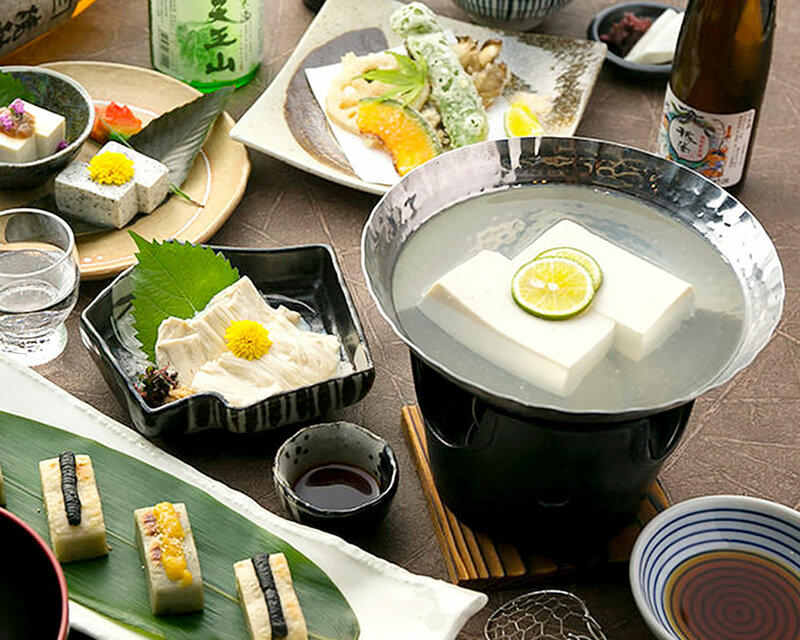 A creative Japanese cuisine restaurant serving boiled tofu kaiseki courses and other seasonal kaiseki courses. 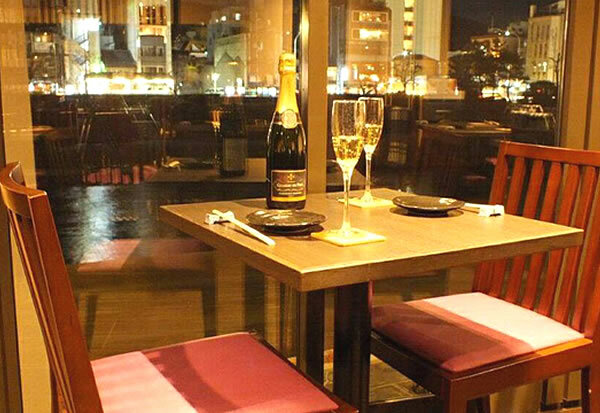 With one side of Houshoan being completely made of glass windows, guests can savor each bite with a spectacular night view of the Kamo river. 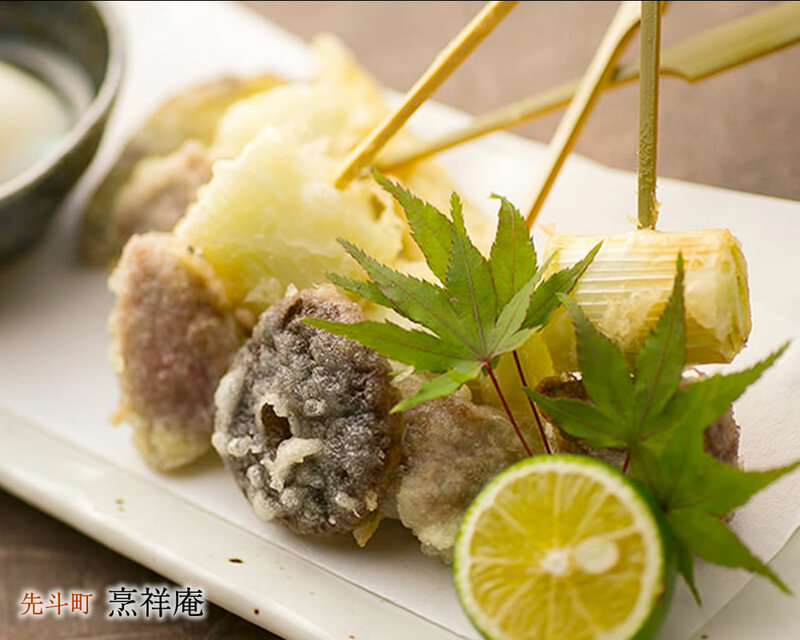 Additionally, from May and the end of September, guests can also enjoy Kyoto's famous tradition of "Yuka" or riverside dining. 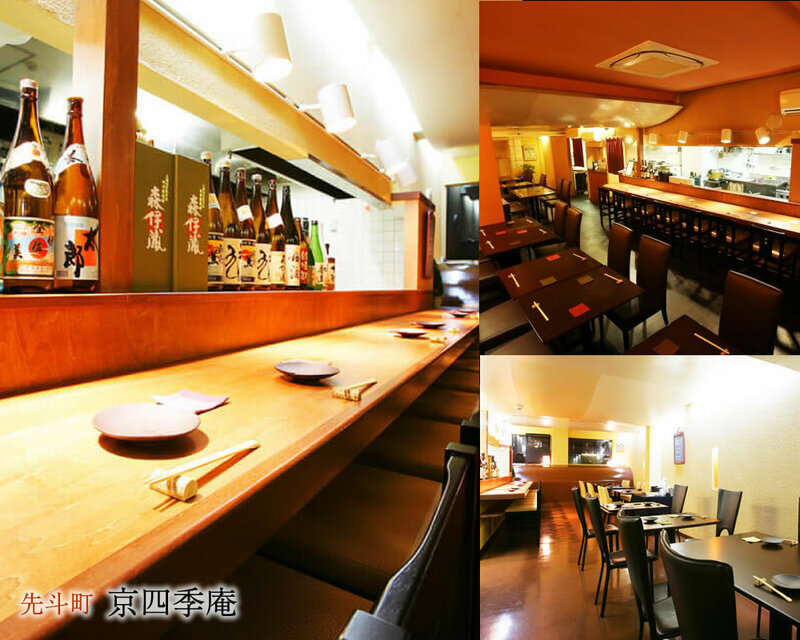 For those looking to enjoy fine steak in Kyoto, Kyoshikian is the perfect place. 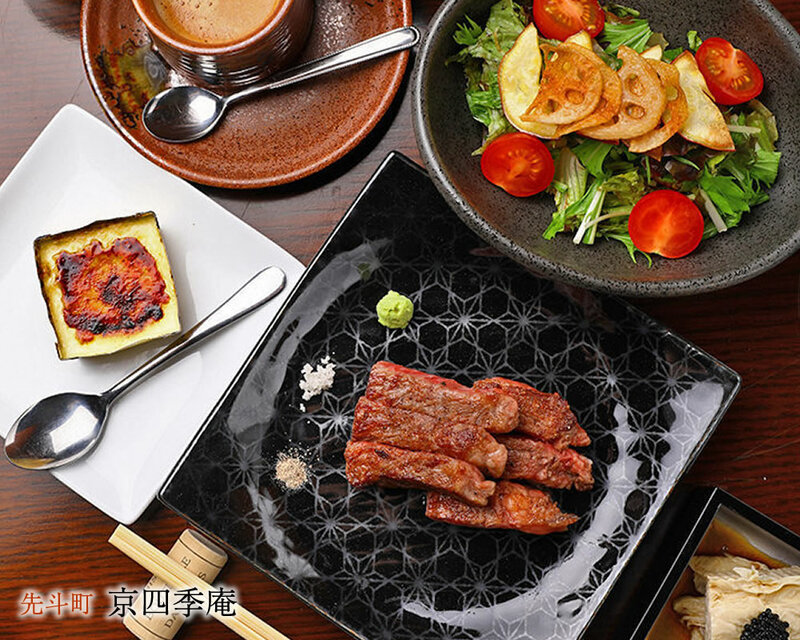 The sister restaurant of Houshoan, Kyoshikian is an exclusive teppanyaki restaurant, serving only the most premium A4 and A5 Kuroge Wagyu beef. 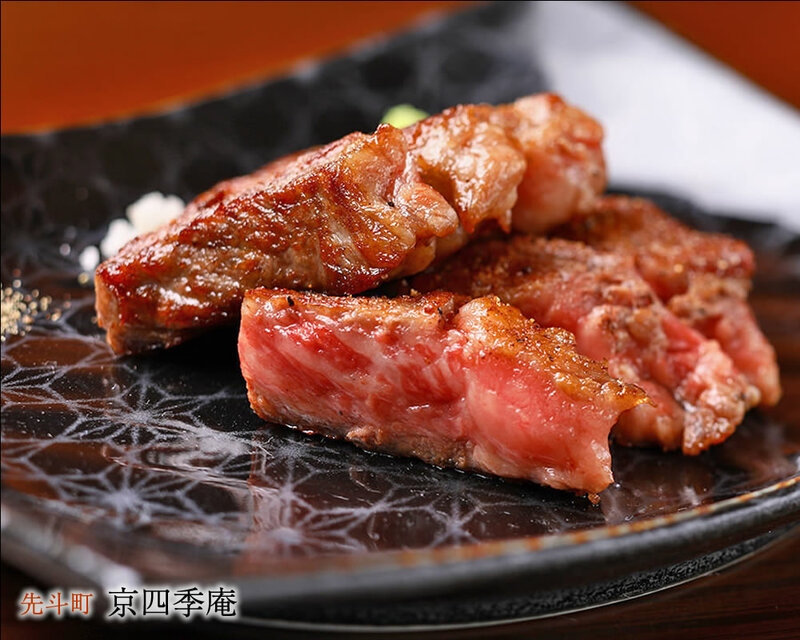 Using finely-marbled red meat from strictly selected Kuroge Wagyu beef, these rich and unbelievably tender steaks are nothing like you have ever tasted before. 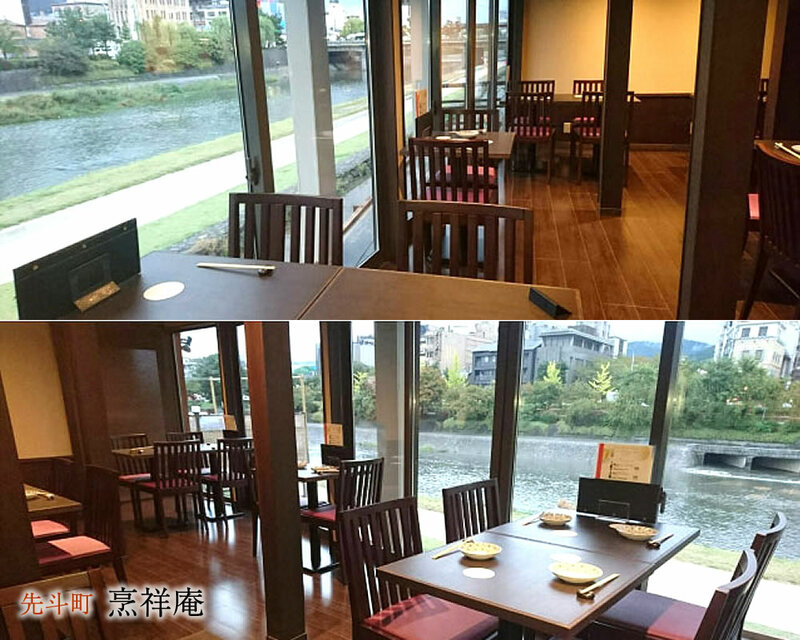 Located by the Kyoto Kamo River in Ponto-cho, guests can choose between a reservation for teppanyaki steak restaurant Kyoshikian, or at innovative Japanese Kaiseki Cuisine restaurant, Houshoan. 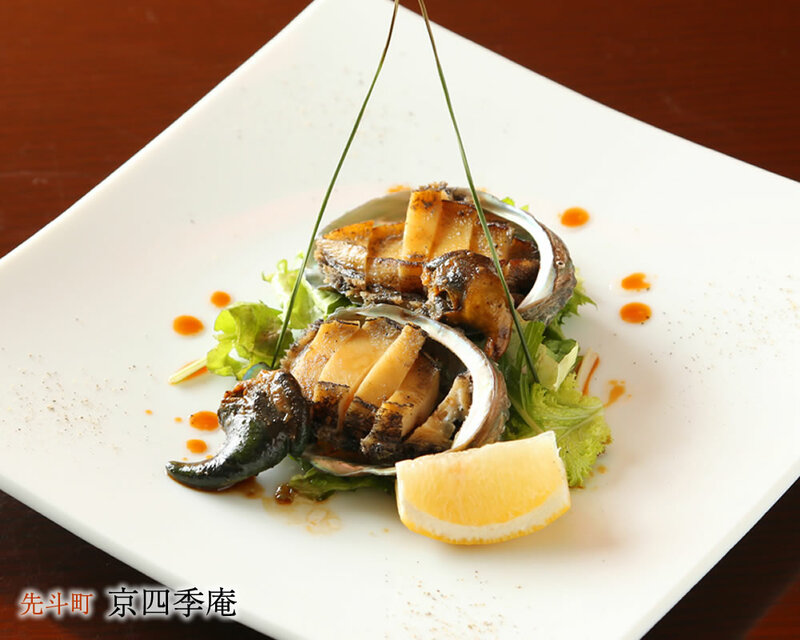 It is our mission to assist our guests in having the pleasure of enjoying top-quality cuisine at reasonable costs. 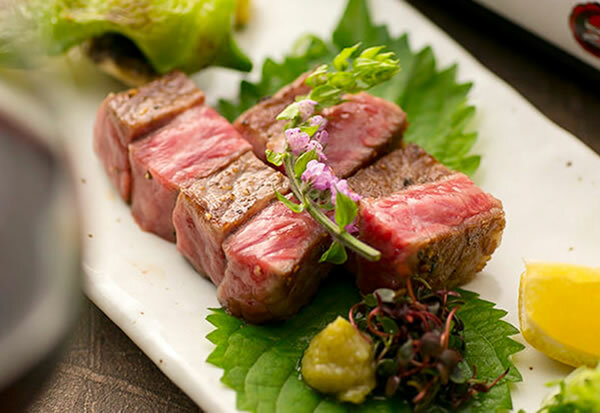 Enjoy succulent premium-quality and steak at Kyoishikian, or creative Japanese kaiseki cuisine at Hoshoan. 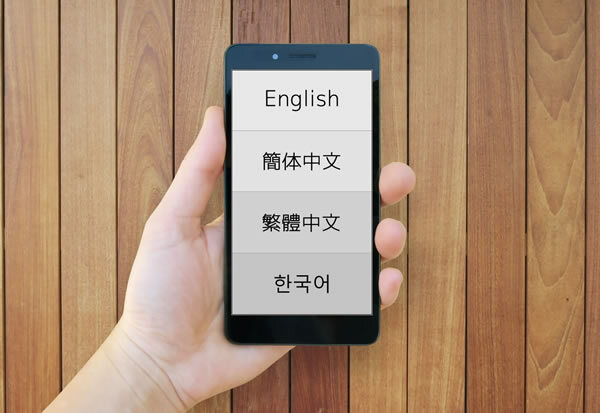 Online payment for courses via credit card or PayPal required for reservations. Any additional orders at the restaurant for food or drink are required to be paid after the meal.